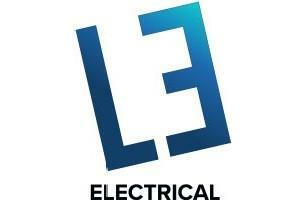 Established in 2010, L.E - Electrical offer our customers a complete and competent service for any and all of your electrical needs. We offer design, supply, installation and maintenance services for domestic, commercial and industrial premises. Everything from changing lights to rewires, including data/network infrastructure and security installations. We are a small business and we use an electronic based Quotation & Invoice system to keep your job finished within budget and on time. L.E – Electrical hold memberships of numerous associations including ‘NAPIT’ for electrical competency & certification, ‘Checkatrade’ for consumer awareness & customer feedback, ‘Facebook & G+’ as an additional communication method, 'Trading for Good' for our commitment to social responsibilities. Check out my Facebook page here . If you are unable to reach us on the landline please feel free to contact us on 07976 845930.